1 Samuel 15:20-22 20 “But I did obey the LORD,” Saul said. “I went on the mission the LORD assigned me. I completely destroyed the Amalekites and brought back Agag their king. 21 The soldiers took sheep and cattle from the plunder, the best of what was devoted to God, in order to sacrifice them to the LORD your God at Gilgal.” 22 But Samuel replied: “Does the LORD delight in burnt offerings and sacrifices as much as in obeying the voice of the LORD? 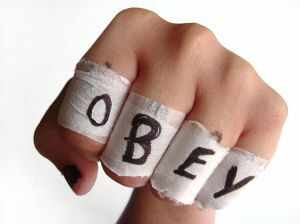 To obey is better than sacrifice, and to heed is better than the fat of rams. Outside of the concept of the physical sacrifices of the Old Testament, this scripture reference might seem a little strange. Imagine trying to teach it to your kids… “Son, to obey is better than sacrifice.” Your son then teaches his little sister, “We better obey daddy because he is going to sacrifice us.” To which she cries, “Why would daddy kill us?” Please make sure to be clear when teaching your kids concepts out of the Old Testament. Regardless of the potential mix-up, this is a very important concept. In this scenario, Saul thought he was doing a good thing. I mean, he didn’t do exactly what God asked, but he thought he would go above and beyond and keep some stuff for a burnt sacrifice to God. The problem is that God clearly instructed him to keep nothing. God didn’t want a sacrifice from Saul – he wanted him to follow instructions. We probably attempt to make these kinds of peace offerings with God too. He calls us to something big and we compromise by fasting TV or something. He calls us to stop living in sin and we respond by going to church more to feel better. But He didn’t ask us to sacrifice something, He didn’t ask us to fulfill a religious obligation; He asked us to obey. And we need to learn that following His instructions are far more important than trying to do a bunch of other things that we think are the appropriate religious measures. He is after obedience and He is after our hearts. Start today by aligning your heart with His. Then start to ask Him if you have done the last thing He asked you to do. If you haven’t, start taking the steps of obedience to walk it out. Have you ever wondered out why God leaves out some of the details? We may spend hours with Him as He speaks to us, affirms us, and unfolds His promises for us. We leave our time together feeling refreshed and even on a bit of a spiritual high. “I can’t believe God just charted the waters for me!” I hope you know what I am talking about, that mountaintop experience. It is unparalleled with anything else I have ever experienced. It is time with my Savior. Then it happens – the mundane. My next step doesn’t seem to line up with what He just told me. But I am certain I heard Him right. What’s going on? Apparently it happened to Samuel, too. Yes, Samuel. He was one of the most anointed, greatest prophets ever and he had to stop and ask for directions immediately after a mountaintop experience. Does this seem strange to anyone else besides me? Samuel had just spent all night with the Lord crying out to Him. God spoke directly to him; I bet it was even an audible voice. God tells Samuel to give a message to Saul. So he gets up the next morning and goes to see Saul, but Saul isn’t there. Now for many of us, we would probably start to question if we heard God right. “Oh, good. I’m off the hook. Saul isn’t here so I don’t have to deliver the message now. I must have heard God wrong.” No, no, no, no, no. That isn’t the case at all. You just have to find Saul. I don’t really get why God didn’t just tell Samuel that Saul had gone to Carmel. But I also don’t think it unspiritual that Samuel asked for directions. Some might say, “why didn’t he just ask God where Saul was?” Well, I don’t know. All I know is that he didn’t. He asked some people. Through those people, he found Saul and delivered the message from the Lord. It was just a speed bump and it didn’t stop him; it just slowed him down. Speed bumps seem to stop us, though. We treat them more like stop signs than detours. Friends, we need to face the fact that God isn’t always going to tell us everything. In fact, He rarely tells us everything. But when we show up to a place of obedience and the situation doesn’t look right, that doesn’t mean we should shrug off what He told us to do. 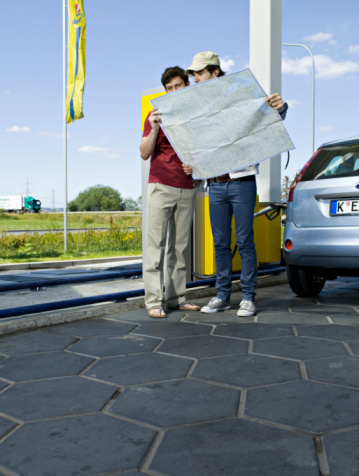 We might just need to ask for directions. Samuel didn’t seem to get hung up on having to be practical and I don’t think we should either. I Samuel 13:19-22 19 Not a blacksmith could be found in the whole land of Israel, because the Philistines had said, “Otherwise the Hebrews will make swords or spears! ” 20 So all Israel went down to the Philistines to have their plowshares, mattocks, axes and sickles sharpened. 21 The price was two thirds of a shekel for sharpening plowshares and mattocks, and a third of a shekel for sharpening forks and axes and for repointing goads. 22 So on the day of the battle not a soldier with Saul and Jonathan had a sword or spear in his hand; only Saul and his son Jonathan had them. What strikes me the most is not the fact that they outsourced, it was in what they outsourced. They outsourced their swords. Outsourcing your sword is never a good idea. But I think we as Christians have a tendency to outsource or swords. 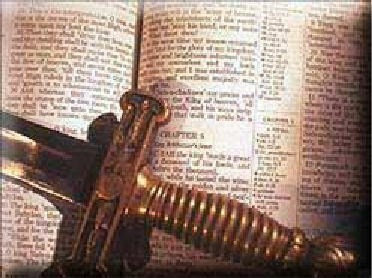 Now by swords, I mean THE SWORD, of course – the Word of God. We rely on the preacher, the radio station, the TV, a friend, a verse of the day email, or even… I hate to say it – this blog. And while all these things can be good (especially the blog J), they should not be a replacement for our own ingestion of the Word. We should be diving into our Bibles and learning and studying and being thoroughly confused. And we should be striving to understand the things that we are confused about. The bottom line is this: let’s not outsource our Sword. Let’s pick it up ourselves and learn how to fight with it, so we will be equipped when the battle comes. I Samuel 12:24 But be sure to fear the LORD and serve him faithfully with all your heart; consider what great things he has done for you. My goodness, God is good! No scratch that; God is great! I don’t have to think real hard to consider what great things He has done. Just this morning I was seeking Him and praying for healing for my body. I was sick and couldn’t hardly function and BAM! He faithfully brought healing to my body. So I am fresh off His greatness right now. But He is so much more than that. He is my Savior, my healer, my friend, my everything. He has done great things and I am confident there are many more to come. Jesus loves me, this I know. He pursues me, forgives me, refines me, and restores me. He always holds up His end of the relationship. So what’s my response to Him? What is my role in our relationship? Samuel told the people to do two things: fear the Lord and serve Him faithfully. And Samuel even called down thunder and rain from heaven to freak them out a little bit. Because they obviously needed to remember how great God is. You see they often neglected these two things, to fear Him and serve Him faithfully. In fact, they are likely the same two things that we struggle with today. Fear Him. Yes, the God of mercy and grace is still a little scary. C.S. Lewis said that if we compare God to us it would be like comparing us to a slug. He’s that much better, that much greater, that much smarter, that much more powerful. The good news is that He isn’t going to pour salt on us. But that should freak us out a little, how big He is. And it should keep driving us to being right with Him. I am not saying that fear should motivate our relationship with Him, but we should have a basic understanding of how massive He is. Serve Him faithfully. Faithfully. As in not half-heartedly. We get flaky with our faith, though. We serve Him when we feel like it, maybe when things get rough. But we forget Him in the pace of life. We lose track of our relationship, our bibles, and our prayers. I wonder why this is. I mean, when life gets really good, shouldn’t we remember who made it good? Our response should be faithfulness. That’s my commitment today: I will faithfully serve you Lord with my life. In good times and bad, you will be my God. And I’ll even be a little freaked out by You, too. Dumb Criminal Report: A teenager was arrested by the Pennsylvania police and charged with felony daytime burglary. How did they find out? Well, the victim noticed that someone had broken into her house through a bedroom window. 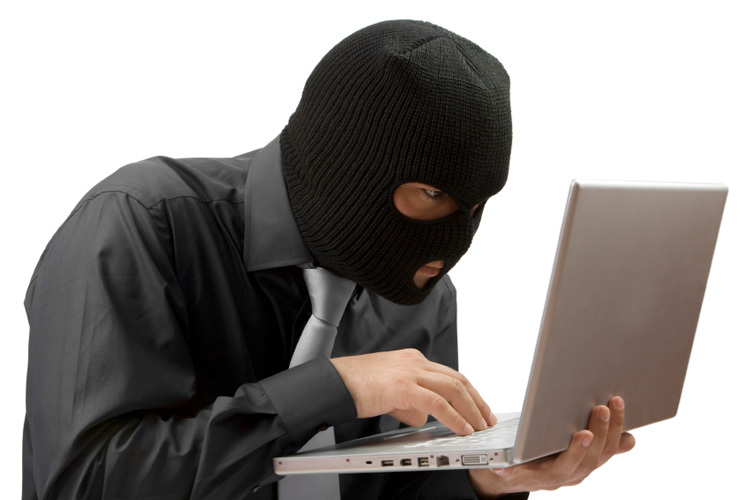 She also happened to check her computer…which had the burglar’s Facebook account still open. Apparently, after snatching two expensive diamond rings, he had felt the irresistible need to check his status. Can you say…”un-friend”? I really enjoy dumb criminal stories and I actually found one in the Bible today. You have this Ammonite guy named Nahash who comes to an Israeli town and says he is going to destroy it. The people there ask him to make a treaty with them, but he says that he will only spare them if they agree to have their right eyeball plucked out. What happens next is perplexing – the Israelites ask him for 7 days to rally enough people to fight him. I would expect him to say, “how ’bout I just kill you now?” Instead, he gives them the seven days. How dumb can you be!? You are going to give the Israelites a week to get an army together to fight you. Do you not know how many of them there are? It was the ultimate dumb criminal move on his part, because God’s people rallied. It says that the Spirit of the Lord came upon Saul in power and he rallied the people to go out and completely destroy the Ammonites. I love the part where the men of Jabesh go to the Ammonites and say, “okay we will surrender tomorrow.” I think the Bible left out the part where they did everything possible to keep from snickering. Seriously, it is the ultimate set up. What I love about this story is the fact that God’s people rallied. When one of the peeps was getting picked on, the brothers came in to rescue. They banded together and took on the bully. We should be doing the same thing for each other. We are called as the Body of Christ to rally around each other. We are called to build each other up. Unfortunately, it is often the Body that is doing the tearing down. Let’s commit today to come to each other’s rescue, to pick up a friend who has been beat down. Let’s take on these dumb criminals together and be the church Jesus has called us to be! Are you hiding from your calling? Oooo, a little game of hide n’ seek with God, huh? Didn’t Saul know the story of Adam and Eve? You can’t really hide from God. There seems to be no shortage of hiders in the Bible, either. Gideon hid because he was afraid of the enemy; God showed up and called him mighty warrior. Jonah hid because he didn’t like God’s assignment; God sent a whale to set him straight. But hiding in the luggage, Saul? Really? There’s something different about Saul’s hiding, though. It doesn’t seem to be because of sin, shame, or fear of bad guys. Saul seemed to be afraid to accept his calling. You see, this assembly that Samuel called was fresh off a supernatural experience that Saul had just walked through. He was anointed by Samuel to be the King of Israel. The Lord not only changed his heart, but also filled him with His Spirit. Then Saul went out and prophesied with the prophets. 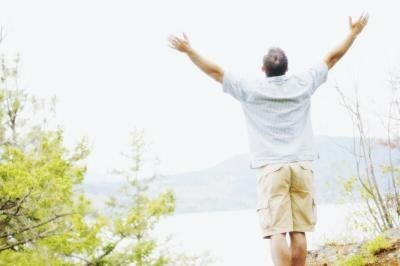 He essentially became an Old-Testament, born-again, spirit filled man. Then he hid. And it is the timing of his hiding that puzzles me most. I mean, we all try to hide sometimes. When the heat gets to be too hot, we’ve got to get out of the kitchen. But I wonder if we try to hide from our calling like Saul did. Maybe he hid because even though he was spirit-filled and anointed, he didn’t know how to be king. He probably didn’t feel ready or equipped. He likely worried about what everyone was going to think about him. Whatever the reason, he attempted to hide from his destiny. I don’t want to hide from my destiny; I want to embrace it. Even though I don’t feel equipped and ready, I must have enough confidence in my God that I can stand tall and walk in that calling. So you won’t find me among the luggage. No, you won’t find me hiding. I will walk toward all that He has for me, even when I am unsure. He has given me a new heart and filled me with His Spirit. I intend to do something great with it!